As part of a 3 day campaign on November 7th, 8th, and 9th, community groups across Quebec will, for the second year in a row, unite to take action for better funding. 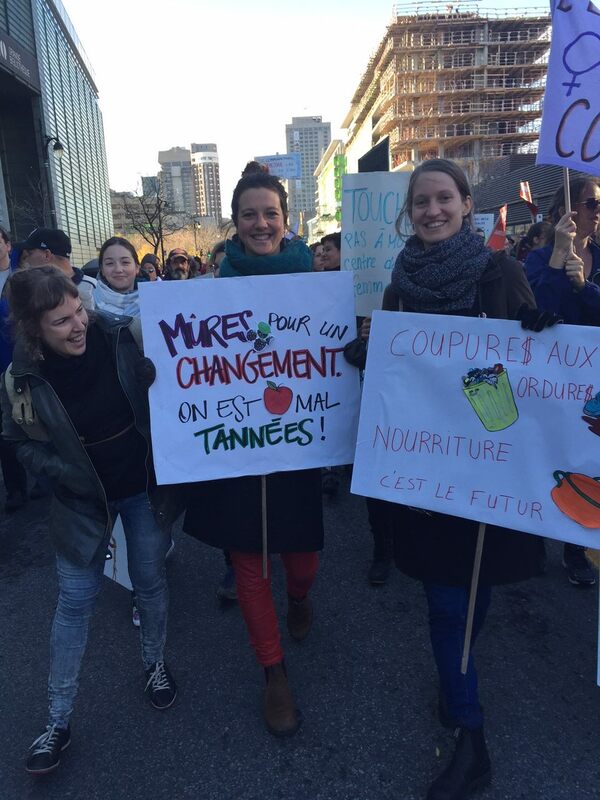 In the context of austerity measures– which simultaneously increase the number of people turning to community groups for support and decreases their resources– Quebec community groups have taken a unique approach for nonprofits: using direct actions and striking to demand adequate resources, together. Last year, 1200 organizations went on strike, and many more participated in actions and demonstrations. What are some of the actions being taken? On November 7th, the campaign suggests paying a visit to your MNA, and get them to make a clear commitment to supporting the sector. On November 8th, organizations are encouraged to strike or take other symbolic action. In our building, we are getting together with other provincially funded organizations to put up posters and information about our causes and our needs. Others are joining an organized bus tour + making a visit to an important politician. On November 9th, in Montreal, join the demonstration at 1pm! You can find the Facebook event here . The COCo team will be there en masse and we would love to see you too! While we’re at it, we also wanted to highlight the week of visibility that the RQ-ACA ran last week, bringing attention to challenges Quebec community orgs are currently facing, and the important impact they have. There are some great testimonials, art projects, and videos by groups talking about the work that they do and the struggles they are having- you can see the Montreal-based ones here .